These are vintage lucite cabochons that were made in Italy. 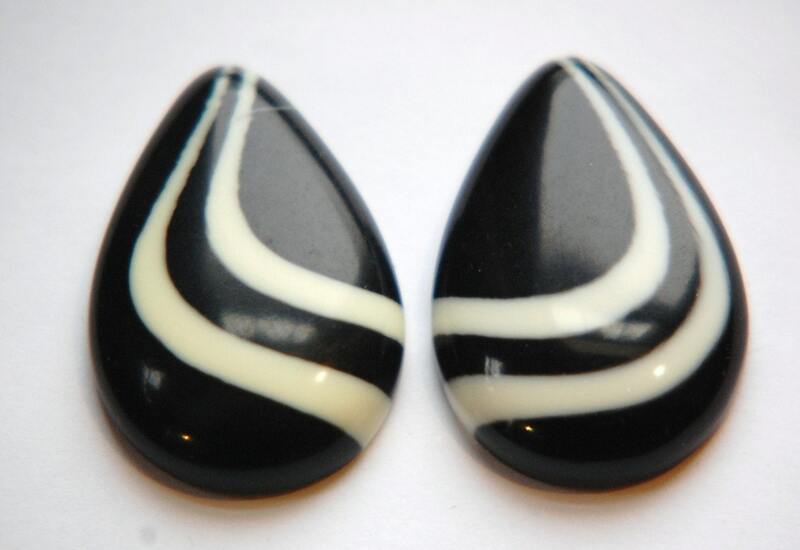 They are black with an ivory or cream swirl. These measure 38mm x 25mm. You will receive 2 pieces, one left and one right facing however they are not matched pairs as each is unique. Beautiful pattern, well-made, great quality. Excellent shop & customer service.